Today the Center for American Progress announced that Dr. Donald M. Berwick will join the organization as a Senior Fellow. At CAP, Dr. Berwick will focus on defending health care reform, ensuring its successful implementation, and developing new ideas to provide better care at lower costs. Berwick will join CAP’s team of leading policy experts who played vital roles in crafting the Affordable Care Act. In July 2010 President Obama appointed Dr. Berwick to the position of administrator of the Centers for Medicare and Medicaid Services, or CMS, a position he held until December 2011. Dr. Berwick is a renowned expert in improving the quality and efficiency of health care delivery and in saving lives through the reduction of medical errors. He brings vast experience in academia, as a research professional, as a clinician, and as a policy advisor. At CAP, Dr. Berwick will join a team comprised of some of the nation’s most distinguished health policy experts. CAP President Neera Tanden served as senior advisor for health reform at the Department of Health and Human Services, advising Secretary Kathleen Sebelius and working on President Obama’s health reform team in the White House to pass the bill. The CAP health policy team also includes Senior Fellow Dr. Ezekiel Emanuel, renowned bioethicist and a former senior advisor in the Obama administration; Senior Fellow David Cutler, acclaimed health economics expert who served as a senior health care advisor to then-Sen. Barack Obama’s presidential campaign; and Distinguished Senior Fellow Tom Daschle, whose book, Critical: What We Can Do About the Health-Care Crisis, made the case for the basic structure of health care reform that is embodied in the Affordable Care Act. The CAP health policy team is led by Managing Director Topher Spiro, who helped draft the Affordable Care Act as deputy staff director for the Senate health committee. “Dr. 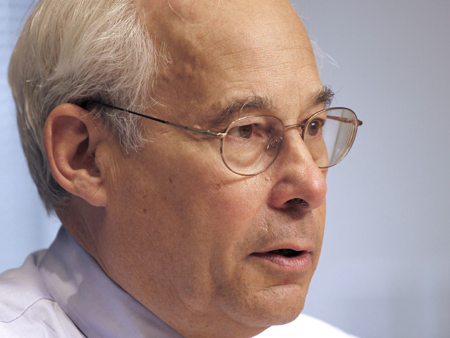 Berwick is a visionary leader of change and progress in our health care system," said Tanden. As the administrator of the Centers for Medicare and Medicaid Services and in his previous roles he has championed reforms of our health care system that lower costs while improving care, all towards the goal of serving patients better. We are thrilled to have Don join CAP as a Senior Fellow as he is a critical voice for our national deliberations on health care now and in the future."